(Reuters) - At least 15 people have died in Somaliland after heavy rains caused by tropical cyclone Sagar which landed in the Horn of Africa over the weekend. Situated at the northern tip of east Africa on the Gulf of Aden, Somaliland broke away from Somalia in 1991. “In the last 24 hours, heavy stormy rains killed 15 people in the districts of Lughaya and Baki,” Abdirahman Ahmed Ali, governor of the Awdal area told reporters on Sunday. Meanwhile in Puntland, a semi-autonomous northeastern region of Somalia, storms caused by the cyclone took away two men and their car from a valley in the city of Bosaso, Yusuf Mohamed Waeys, the governor of Bari in Puntland told Reuters on Sunday. The UN Office for the Coordination of Humanitarian Affairs said thousands of people have been affected by the flooding, displacement and the destruction of infrastructure in Sagar’s wake. 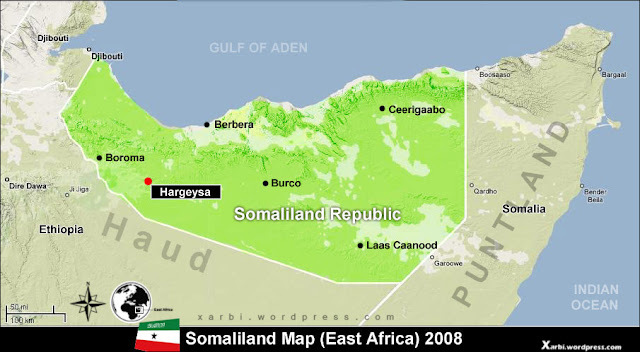 Puntland and Somaliland have been engaged in conflict over the disputed Sool region for more than 10 years. People who live there are divided over which side to back. Last week, dozens of people were killed in clashes between troops from the two sides. “Due to the dispute over the regions of Sool and Sanaag and lack of access to some affected areas after the destruction of roads, the situation of affected populations and impediments caused by blocked roads and failed communications, the extent of the damage is yet to be fully confirmed,” the UN said.